The world’s first occupational health and safety international standard ISO 45001 has finally been published. It will help your organization provide a safe and healthy workplace for your workers and other people, prevent work-related injury, ill-health as well as continually improve OH&S performance. the standard can be adapted to your organisation irrespective of size, locations and complexity and will prove a useful tool to all health and safety professionals. If you’re currently certified to OHSAS 18001 then you will need to migrate to ISO 45001 as OHSAS 18001 will be withdrawn. 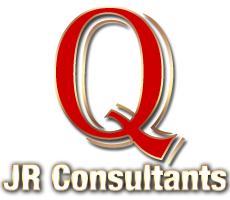 At JR Consultants we have the knowledge to help you upgrade your certification and meet the new requirements of ISO 45001. Please get in touch if you would like to discuss this, and any of the changes in more detail with our Consultants. • 12th March 2021 clients must have transitioned to ISO 45001 :2018 from OHSAS 18001.